Build and manage professional quality investment portfolios with minimal financial knowledge and time. 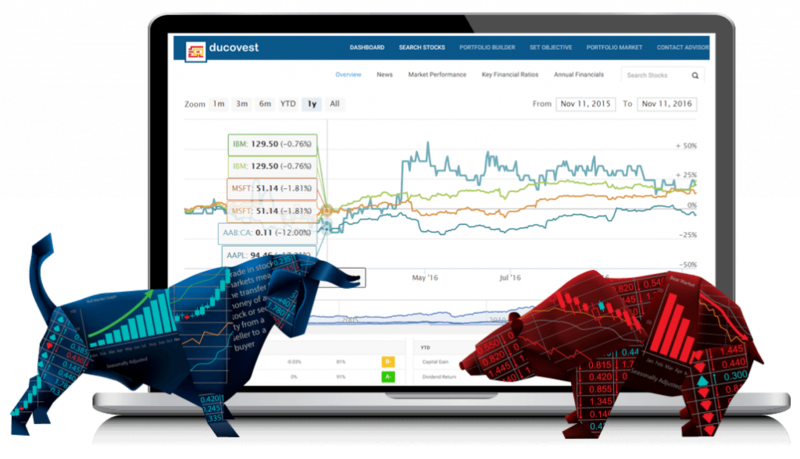 Unlike traditional roboadvisors, ducovest does not offer preconstructed portfolios or makes money through brokerage. You are free to build and manage your portfolios with any security, and through any advisor and broker. 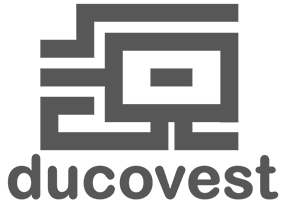 Our goal is to make you a smarter and more informed investor, and stay on top of your investments and advisors. 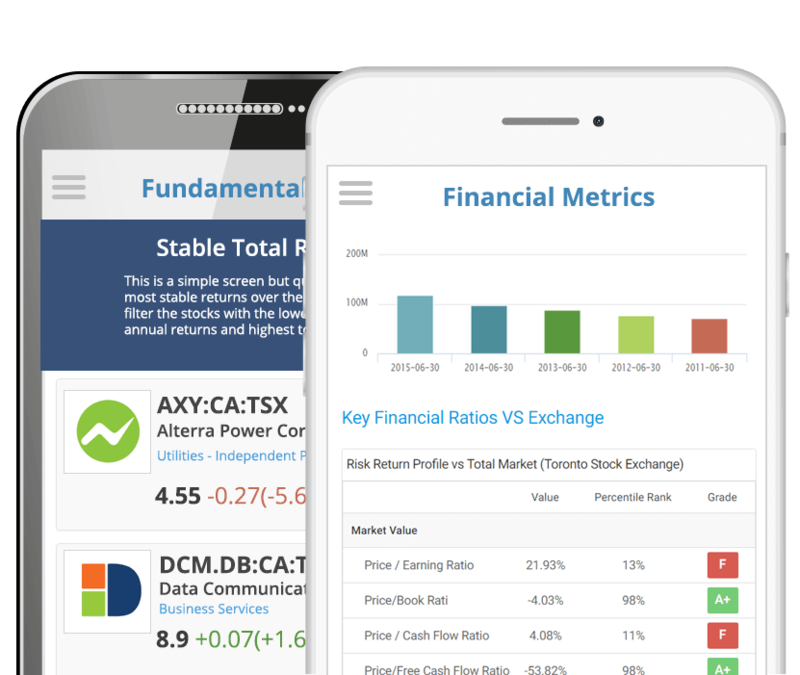 Our state of the art platform seamlessly brings together financial information, analytical tools and financial advisors to help investors with any level of financial knowledge create, analyze and manage their financial portfolios. We cut through the drivel and help you build investment strategies based on simple principles that work. Our stock screening tools can help you identify the right securities matching your preferences, risk tolerance, and existing portfolios. Don’t have a PhD in Finance ? We will crunch the numbers so you can focus on the decisions. 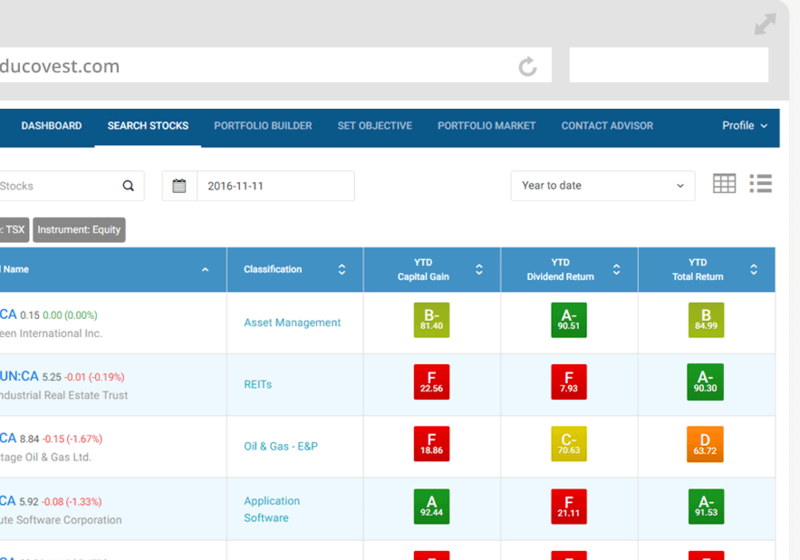 Our portfolio management tools can help you build personalized portfolios populated with the right securities. No time to stay on top ? We will update you regularly and signal when its time to make any adjustments. Need human support ? Help is at hand with our network of financial advisors who can help you make the right decisions. Our advisors use the same platform to build and manage your portfolios so you are never a step behind. ducovest mobile app lets you manage your investment portfolios from the palm of your hand. Get instant notifications on market fluctuations, socialise with like minded individuals and get advice from accredited investors. Ready to start managing your investments? You will be redirected automatically to our new website.